Wholesale — Truth Soap Co.
Are you looking for an all-natural skincare line to add to your spa, resort or retail location? If so, apply to become a Truth Soap Co. wholesale partner. your customers will love our soaps and salt bars! 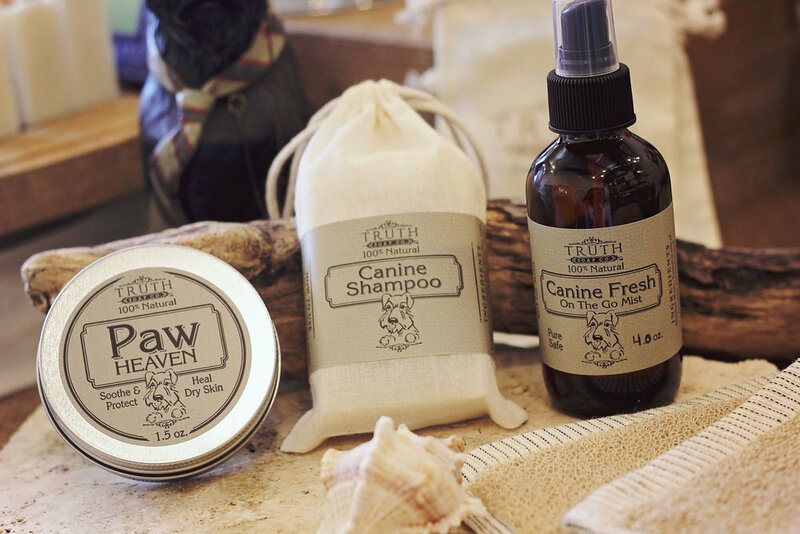 your furry friends will love our canine line! Why become a TRUTH SOAP Co. wholesale partner? What Other Brands of Bath & Body Products Do You Sell? Thank you for your interest in becoming a wholesale partner! We're honored you would consider this opportunity. Someone from our team will connect with you soon! Want to speak with a live person?